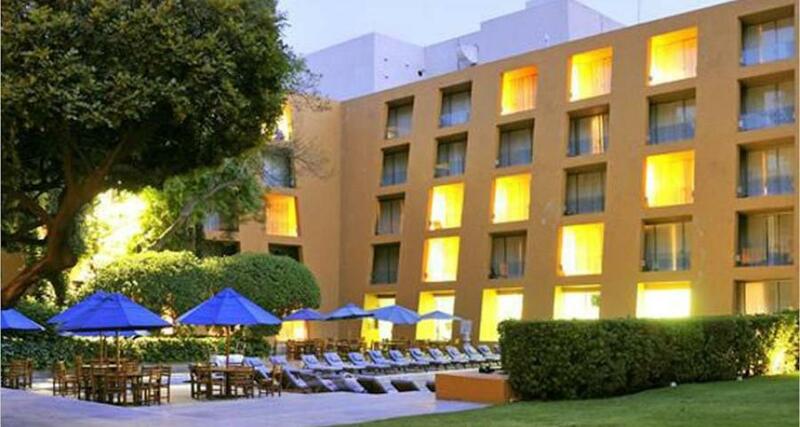 Camino Real Polanco Mexico is a luxury 6* resort located in Mexico City-Polanco area, Mexico. It features 712 rooms and swimming pools. Conceptualized as a hotel-museum by the renowned architect Ricardo Legorreta, the impressive Camino Real Polanco Mexico in Mexico City, blends modern architecture with the remains of pre-Hispanic pyramids and colonial-style patios. It features more than 355,000 sq. ft. of gardens with lush vegetation, pools and fountains, which create an oasis, just steps from the hustle and bustle of the city, and give the hotel a tropical ambiance. The guestrooms and suites are elegantly decorated and the spacious public areas are enriched with parquet floors, colored marble accents and contemporary Mexican art work, highlighted by small spotlights. The hotel also offers event rooms that can accommodate up to 1,500 people. If you are a member of the Circulo Real program, then you can accumulate points during your stay to redeem in the hotel restaurants. Don't forget to bring your card!